In a medium saucepan, heat soymilk and pumpkin spice to a gentle boil. Add oats, return to a simmer, reduce heat and simmer for 5 minutes. Add pumpkin, vanilla and brown sugar. Cook 1 minute to heat through but not boil. 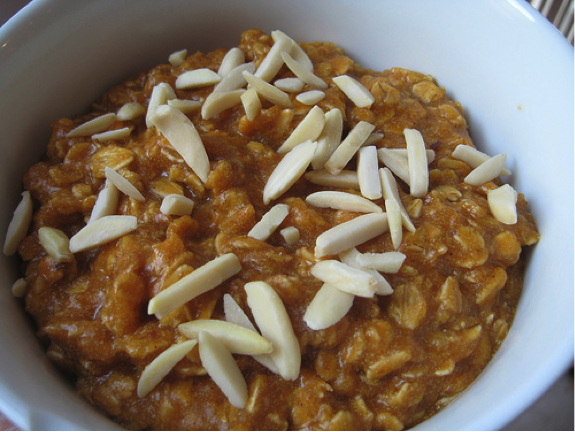 Portion the mixture into two bowls, pour DHA-fortified milk over top and sprinkle with nuts and crystalline ginger.